If watches are the first thing that comes up in your mind when someone asks you what is the most important male accessory then you are definitely one of the good buys. You are one of the guys who knows that personal style needs the elegance and sophistication of a complex wrist watch, and that nothing can compare to the beauty of an exquisite designer timepiece. But where do we find these great replica watches? What are the best stores around? 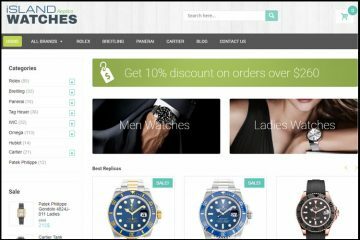 First things first, we will start our searches for the most reputable shops in town by reviewing WatchInFirst.com. I think we can all agree that the website doesn’t have such an impressive design. Everything on this page is very simple. 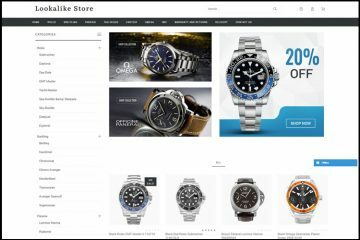 The background is white, the top menu bar is red, there is a brands menu in the left, there are no sliding banners and the center of the page is populated with small pictures of their products. But even though the site is so rudimentary, its simplicity also has a few advantages- it is user friendly, easy to browse and very intuitive. On the slim red menu bar there are only a few buttons with the most popular brands around. These are Rolex, Cartier, Omega, Breitling and Tag Heuer. The entire collection is displayed on the left side list, where we see all the available brands. The list is impressively long. I am sure it contains pretty much any famous watch company you could think of. Furthermore, each category includes a very large number of different replica watches. The largest ones are Rolex with over 5,000 items, Breitling, Cartier and Omega with over 1,000 items. But even though the collection is so large, there is no Advanced Search on the website to help us find the desired model quicker. There is only a classification of each brand into sub-collections. I find the prices of these replica watches pretty affordable. For starters, all Japanese replica watches are $70-$130. These are equipped with a 21 jewels Miyota movement and the price difference is influenced by the complexity of its design, by the materials used and by the additional functions of the watch. 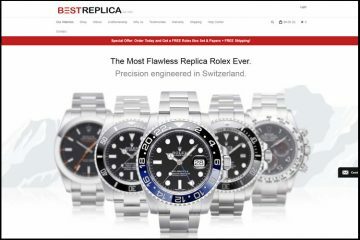 The website also offers Swiss automatic movement replicas and the price for these vary between $200 and $500. The photos of these fake watches are copied from not two or three different sources, but from four catalogs. I have browsed through most of the collections and I was surprised to see the difference between the pictures in terms of clarity, quality and background. Everything I saw here clearly pointed out that WatchInFirst.com copied the images from different places and that these weren’t taken in its studio. This disappoints me greatly because it shows that what you see in the picture may probably not be what you get. Before buying from this company, I advise you to request some actual product photo and confirm that the quality is decent enough. The product descriptions aren’t that great either, but they do the trick. These contain a lot of information about the specifications of these replicas, from inside mechanism and materials to functionality and markings. The company only accepts Visa and Mastercard payments. There is no option of paying by Western Union, Bank Wire or Money Gram. I do not think that this is such a good thing. Offering numerous and diverse payment forms shows how reputable and liable a company really is. Also, I find it concerning that the page where you are supposed to enter your card details isn’t a https one. This means that it is not secured and that any third party can access the information you are entering. WatchInFirst.com ships packages all around the world for a flat rate shipping fee of $20. The company uses EMS, DHL and FEDEX for delivering the orders. It usually needs about 2 working days to have the product ready for dispatch. The estimated delivery time is 5-7 business days for European Union countries and about 10 business days for USA, Australia and most countries of South America. But the great news is that all packages are sent with a tracking number that can be used to follow the progress of the package online. The company offers a 14 days return policy. This policy implies refunds and exchanges. So if you got a product that you do not like, do not waste time. Contact the store at once and request the return details. Also, please note that the customer is the one who must pay all the return costs, there is a $20-$40 Shipping and Handling fees for all returned products and exchanges are subject to price adjustments- if any. There is no mention on the website about a free repairs warranty for these replica watches. Watchinfirst.com does not offer professional customer services. I say this because the only way of contacting the company is by email and contact form. There is no live chat or phone number available. This is such a disappointment as when you buy something online you need to know that Customer Care is very responsible and always ready to assist you. 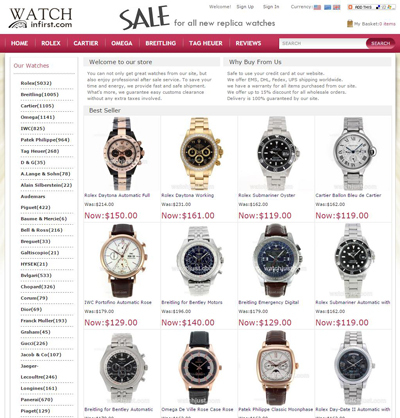 I think that we are all used seeing replica watches online stores such as WatchInFirst.com. 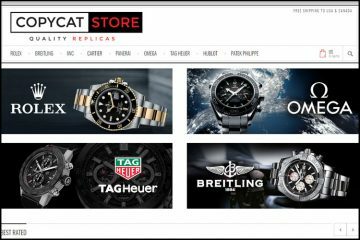 This company has a very large collection of knockoffs, the prices are very low, the delivery is speedy and there even is a 14 days return policy. Until now everything sounds pretty great. But there are some things that make us wonder about its liability- the product pictures that are copied from various sources, the lack of alternative payment methods, the unsecured payment processing page and the unprofessional customer service.